Baltimore drivers know leasing offers plenty of benefits, which is why it’s a must for many drivers in the area, especially when looking at luxury models like the Land Rover Range Rover. You have the option of leasing both new and pre-owned Land Rover models, which means you can receive the amenities you want at the budget you have set aside. Visit Land Rover Annapolis today to learn more about Land Rover lease deals. 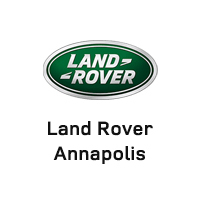 At Land Rover Annapolis, we want to ensure you can bring home the Range Rover model that will help you explore more of Annapolis and Baltimore. By providing exception lease deals, we know you can do just that. We have a great selection of Range Rover models for you to choose from, and our financial experts offer great lease specials that make these models even more attractive. Don’t let a low budget stop you from bringing home the Range Rover of your dreams. Visit us today to learn more and compare the Range Rover to competing models like the Mercedes-Benz GLS!